Riley William Kovacs will have a great story to tell about his birthday. The little guy was so anxious to enter the world that his parents didn’t think they’d make it to the hospital, so they stopped at the state police barracks in Boston this afternoon. At the barracks, troopers told Dad Matthew to pull his car into the heated garage, where Mom Misty was placed on blankets and towels on the floor, and other state police personnel gathered supplies. Patchin Volunteer Fireman Eric Baumgartner and Police Sgt. 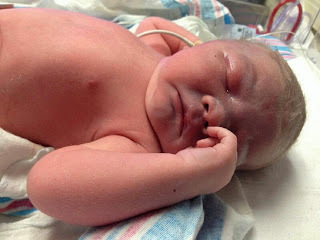 Christopher Weiss delivered Riley at 1:55 p.m. 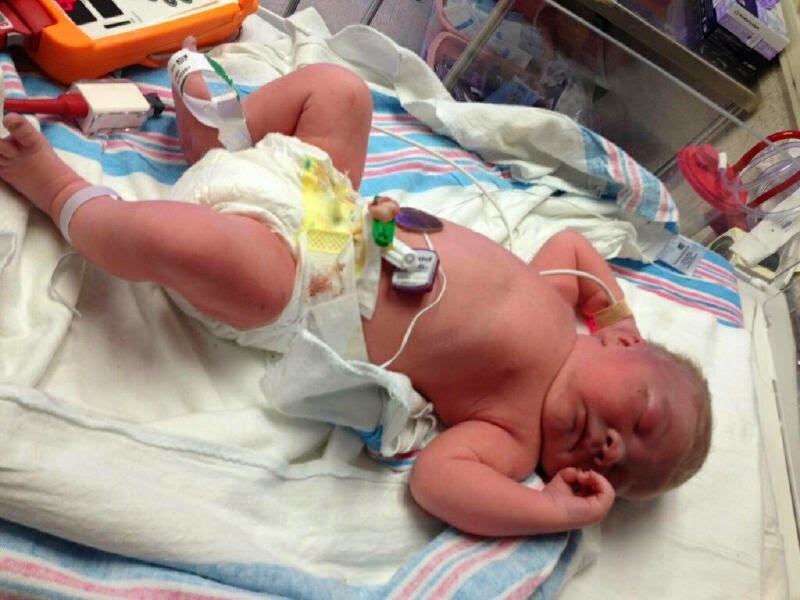 Investigator Ryan Shanahan held the newborn until Hamburg EMTs arrived. Misty and Riley – who weighed in at 8 pounds 4 ounces – were taken by ambulance to Mercy Hospital, where they are both doing fine. Read more on this story -- including the names of the all the state police personnel who helped -- here.